All items include shipping, except for additional foreign postage. All funds must be paid in U. S. funds via PayPal (add to cart), check or money order. If sending a check or money order, make payable to NARBC, Inc., print and complete mail order form, then mail form and payment to appropriate person listed at the bottom of the order form. All items include shipping, except for additional foreign postage. All funds must be paid in U. S. funds via PayPal (add to cart), check or money order. 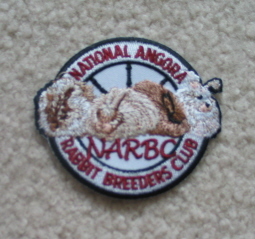 NARBC, Inc., print and complete mail order form, then mail form and payment to appropriate person listed at the bottom of the order form.